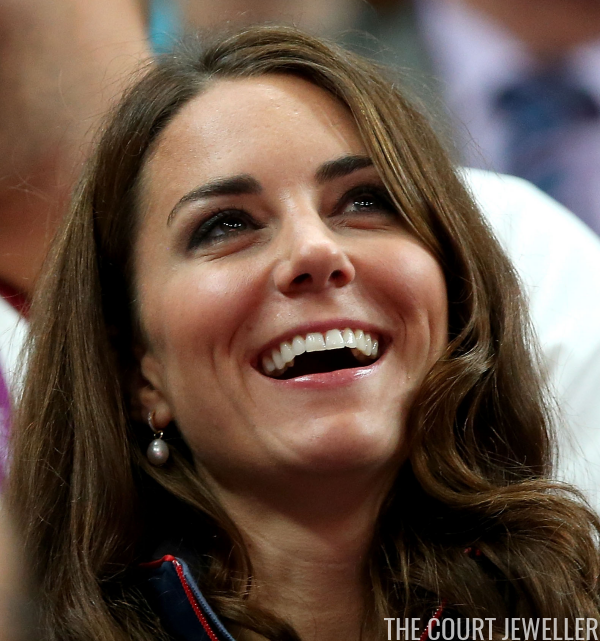 The Duchess of Cambridge didn't make the trip to Rio to cheer on Team GB this summer, but she's been a major supporter of Britain's Olympic athletes throughout her five years as a Windsor. Today, we're looking at her Olympic jewelry style, which is suitably sporty and often dramatic. 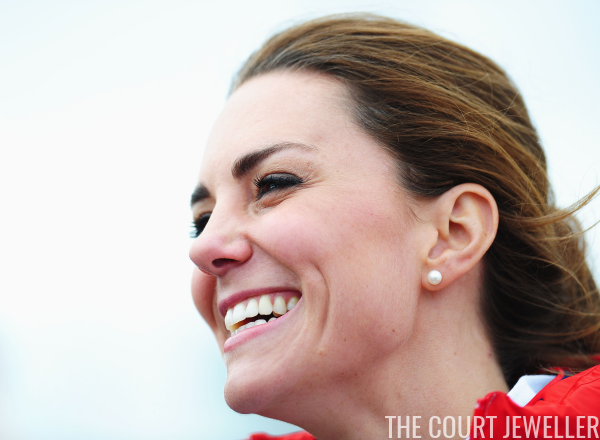 Kate made a visit to Olympic Park in March 2012, a few months ahead of the London Games. 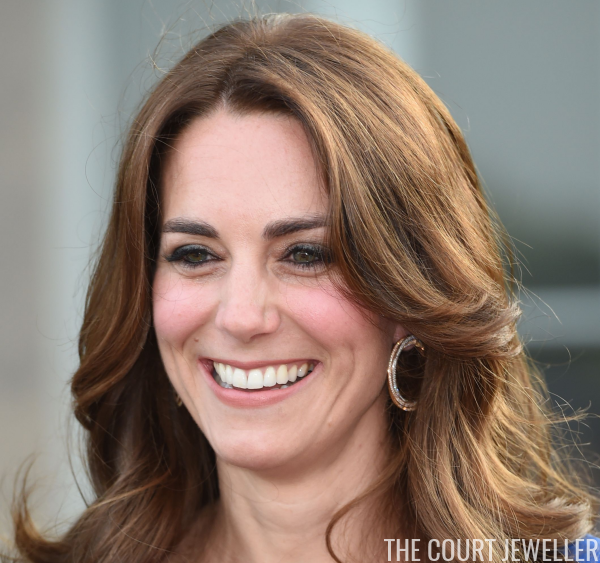 She wore the Kiki McDonough Grace White Topaz Stud Earrings, which feature a round white topaz ringed with small diamonds and set in white gold. 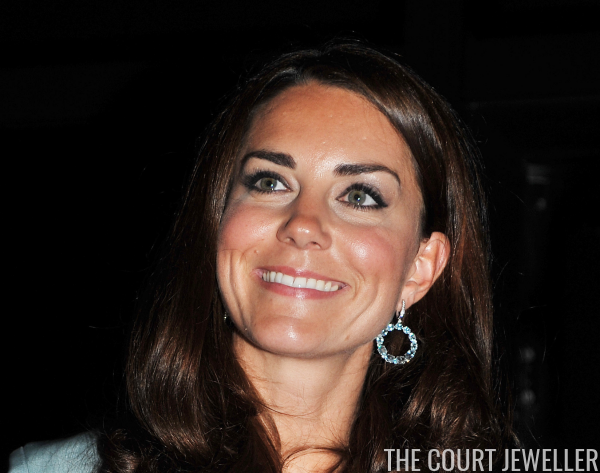 At Royal Albert Hall in May 2012, Kate attended a concert in celebration of Team GB wearing a pair of silver-toned, pave-set statement earrings. The maker of these earrings has yet to be identified. 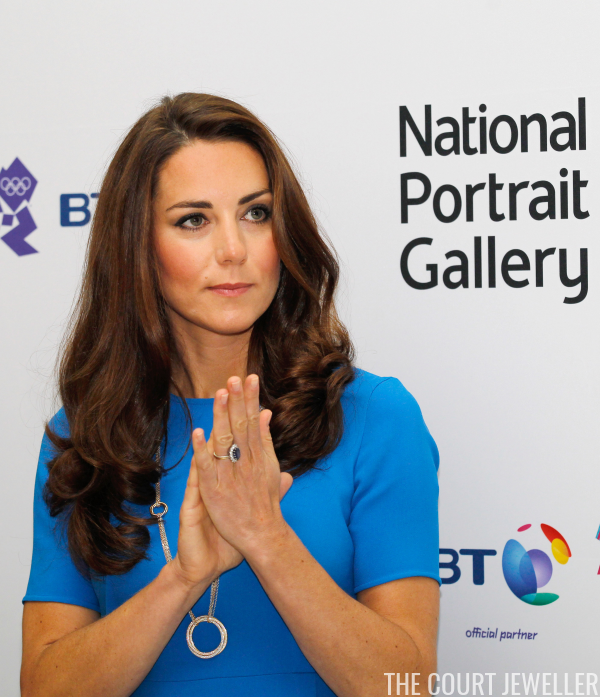 Kate was a regular at events during the London 2012 Games, and she could usually be spotted wearing a pair of pearl earrings. Her go-to pair was a simple set of round pearl studs. The maker has not been identified, partly because these are such classic pieces. 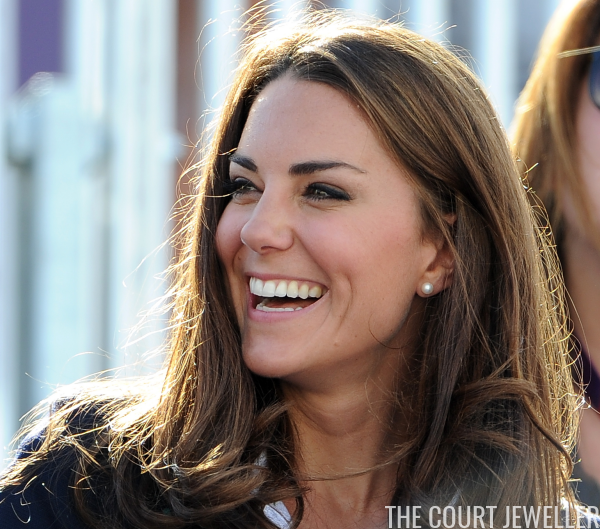 The 2012 Olympics also saw the debut of one of Kate's favorite pairs of earrings: the Kiki McDonough Diamond Hoops with the Annoushka Pearl Drops.